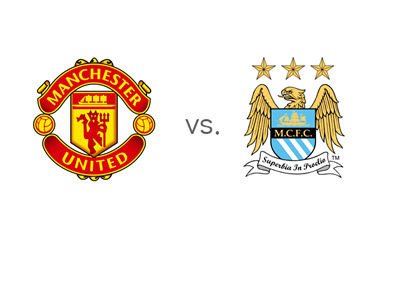 Manchester United will host Manchester City in the English Premier League on Tuesday, March 25th, 2014. This promises to be a good one! Earlier in the season, City beat United at home with the score of 4-1 after a very dominant performance. Manchester United are going into this match with a little bit of positive momentum. The Red Devils performed a huge Champions League comeback vs. Olympiakos last Wednesday, which saw them through to the quarter-finals of the tournament. Domestically, David Moyes's team beat West Ham 0-2 on the weekend in a game that featured a stunning goal by Wayne Rooney. On Tuesday, United will be without Robin van Persie who suffered a hamstring injury after scoring a hat-trick vs. the Greek champions. Manchester City most recently beat last place Fulham at home with the score of 5-0. The next four fixtures are crucial for Manuel Pellegrini's team as they play away matches vs. United, Arsenal and Liverpool, in addition to a home game vs. Southampton. If City manage to win the next four, they will probably be lifting the trophy at the end of the season. EPL title is all City have left to play for and they will be focusing all their energy to winning the remaining games. Sergio Aguero will miss the upcoming Manchester derby due to a hamstring injury. The kick-off is at 7:45pm local time. This should be a great game!